How long should you leave between the initial and follow-up survey? The answer to this question will be determined by what you want to measure. If you are running a counselling course, for example, you probably want to do your surveys a few days before and then a few days after the course. It doesn’t matter whether the course is one week, six weeks, six months or a year as your results will describe the well-being of your group at those points in time, and the change that happens in between. However, you should be aware that the larger the gap you leave between surveys the more potential external influences there are on young people’s lives. For example, over a period of a year, a young person may experience changes in their family situation, move house, or their parent might lose their job – all of which can affect well-being. These changes will be picked up by the Well-being Measure – something which is unavoidable. This makes it difficult to disentangle what changes are due to your activities and what changes are due to external influences. Because of this, you may want to create a control group for surveys over longer periods of time. Exactly how you design your survey depends on what you want to measure. But when you are planning you should follow the guidance we provide and think through all the options. Whatever you decide on timing, you can be sure that NPC’s Well-being Measure will always give you a reliable indication of well-being. 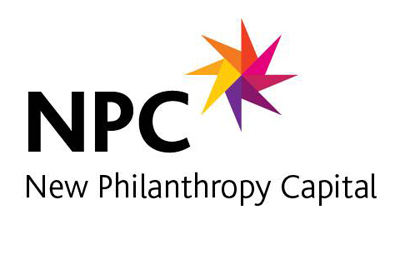 John is part of NPC's research and consulting team and is the founder of NPC's Well-being Measure, a social business that provides an online tool to measure young people’s well-being. He has eight years experience of research and consulting, and is passionate about how data can be used to improve the performance of organisations. John is a regular contributor to NPC's blog and has also contributed to pieces for BBC Radio, the Guardian, and the Financial Times. John is a governor of a secondary school. This entry was posted in Handy hints. Bookmark the permalink.